For lesson 2 we venture into your own school and take a look at all kinds of people, places and things that you find at school. Start off by learning the Spanish names for various rooms and areas both inside and outside of your school. What do you call “classroom” in Spanish? Do you enjoy playing sports? Learn the Spanish names for the baseball diamond, soccer field and the basketball court. What do you call the “hallway” in Spanish or the Principal’s office? Listen to the Spanish names for places at your school here. There are a lot of different people that you encounter everyday at school including teachers, support staff, the principal and other students. Learn the the Spanish names for all of these people that you’ll find at your school. Listen to the Spanish pronunciation for people at school here. This is great section of Lesson 2 where you will learn the Spanish names for many different items that you use everyday in the classroom. In no time you’ll find yourself identifying objects all around the classroom by their Spanish names. Books, pencils, crayons, computers and more; all in Spanish. Listen to the Spanish pronunciation of many classroom items here. Here you will find some simple words and phrases in Spanish that are commonly used in the classroom. Usually the teacher will use these but they are helpful also for the parents. The phrases vary from “sit down”, “stand up” and “write” to phrases such as “form a circle” and “raise your hand”. 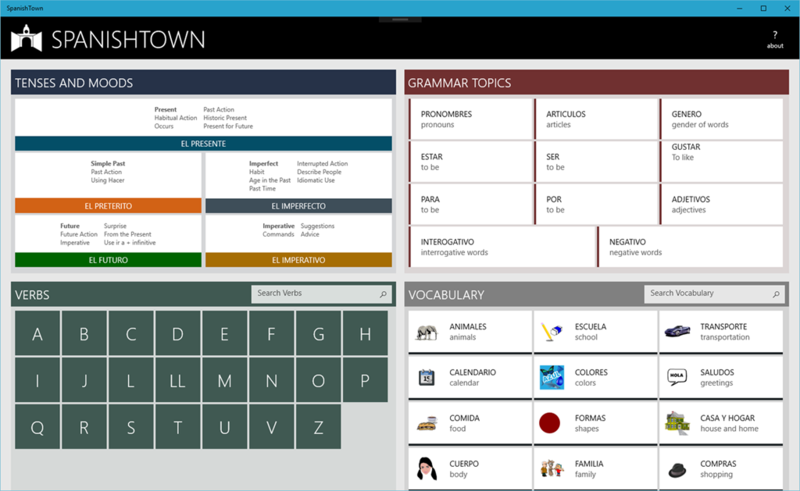 Listen to the Spanish commands for the classroom here. Lesson 2 expands on your numbers in Spanish vocabulary. Learn to count in Spanish from 11 to 20. Count to 20 in Spanish. 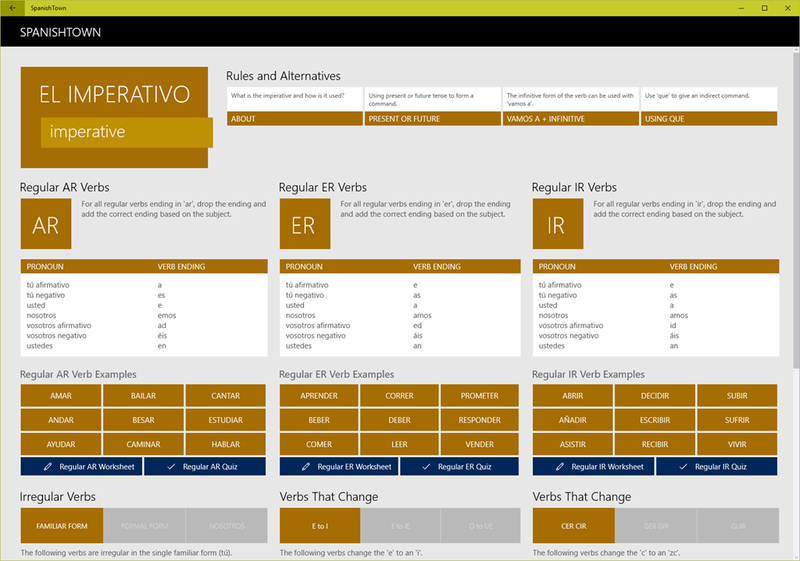 Don’t forget to print out the free Lesson 2 Spanish vocabulary sheets when you are all done and add them to your sheets from lesson 1. You’ll find those full color PDF Spanish vocabulary sheets here. For the first lesson we focus on learning some of the most basic vocabulary and expressions. This is the section of lesson 1 where you can learn how to say hello, goodbye, good morning, please, thank you and similar words and phrases in Spanish. Find a friend or parent and put together some of the phrases to form a little conversation. Don’t forget to use the words wherever you can until you are completely comfortable with them. For fun try using them when talking on the phone with family members or around the dinner table. Listen to greetings in Spanish here. To get you started with colors in Spanish we give you 9 basic and common colors. Some countries have different names for the basic colors such as ‘rosa’ for pink or ‘violeta’ for purple. Don’t worry so much about that yet as we’ll give you those names later. For now just concentrate learning these basic colors in Spanish. Listen to colors in Spanish here. 9 basic shapes in Spanish will help to get you started. Listen to the Spanish name by clicking on the shape and then practise saying the name out loud. Some names can be tricky so you might need to listen to the names a number of times until you’ve got it just right. Search for objects in the classroom or around the house and name the shape in Spanish. Listen to shapes in Spanish here. Your first step in counting to 100 in Spanish begins here. Make sure you listen and practise saying these numbers as they will come in handy in the next section. You can click on each number to listen to it’s pronunciation or click on the button and listen to all of them. Learn to count to 10 in Spanish here. Wow! We give you a lot of Spanish phrases on this page! Don’t worry though, they are not that hard to remember. It might be best to concentrate on a few at a time. Start by learning the Spanish phrases that talk about your name. You’ll need a partner to practise. Ask them what their name is in Spanish and have them answer. Reverse and have the other person ask you what your name is. Move on next to talk about your age. Learn how to ask someone how old they are and then have them ask you. If you are not sure of numbers in Spanish you’ll want to go back and learn to count to ten in Spanish. Lastly try talking about where you are from in Spanish. Don’t forget to change the name of the city or country with the name or your city or country. Listen to these Spanish phrases here. Here you will find the first 5 pages of your very own Spanish vocabulary book. By the end of lesson 10 you’ll have 50 pages full of Spanish vocabulary for you to practise and enjoy. Each page is presented with the same vocabulary as the lesson and is illustrated. They are in PDF format so make sure your Adobe reader is up-to-date. Print the free Lesson 1 Spanish vocabulary sheets here.